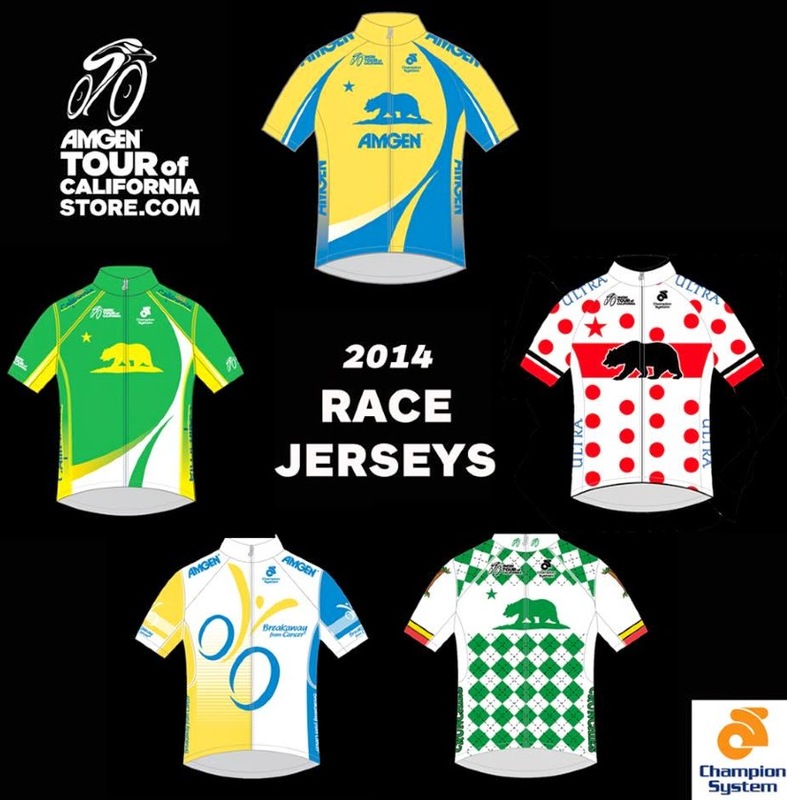 2014 Amgen Tour of California, 9th edition, American Tour. Dates: May 11-18, 2014. Where do I begin, NYC, Ireland, California - all in May! Laurens Ten Dam is featured in one of my all time favorite video clips on Alpe'd'Huez. 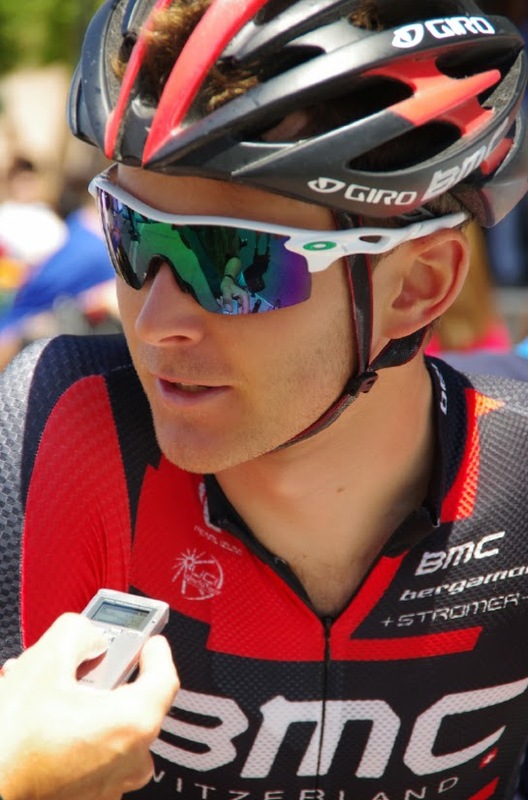 Laurens is the Dutch rider who loves California and said he hopes to live in Santa Cruz someday with his family. The fans want Podium Girls? - meet Joanna and Allison the 2012, 2013, and 2014 Tour of California Podium Girls. California Here I come - seeing the race and being a tourist in Santa Barbara. May 2014 will be a very special month for me. I am attending the Giro Start in Belfast, Northern Ireland, before returning to California for the Amgen Tour of California. I will be coveraing the last three stages of this year's tour only. I plan to bring you stories from the race and have been approved for Photo Credentials. I am certainly missing out by not attending the earlier stages. Monterey is a beautiful area. The town of Cambria is one of my favorites places to relax, ride, eat and drink local wine. Santa Barbara is a city I would enjoy visiting any time of year, for any reason, but with this bike race in town - all the better. 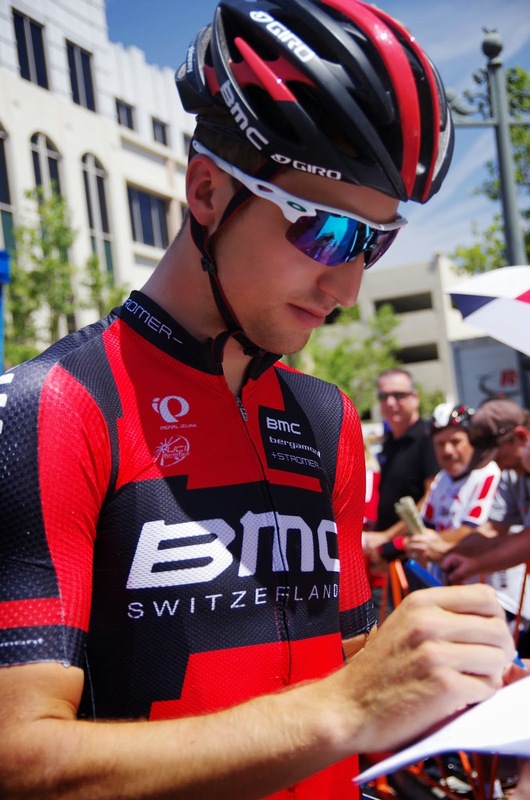 The race returns to Santa Clarita this year for two stage starts. Being at the race in Pasadena will be new to me. Thousand Oaks is about 20-minutes from my parents house, so the final stage should be an easy fun-filled day. 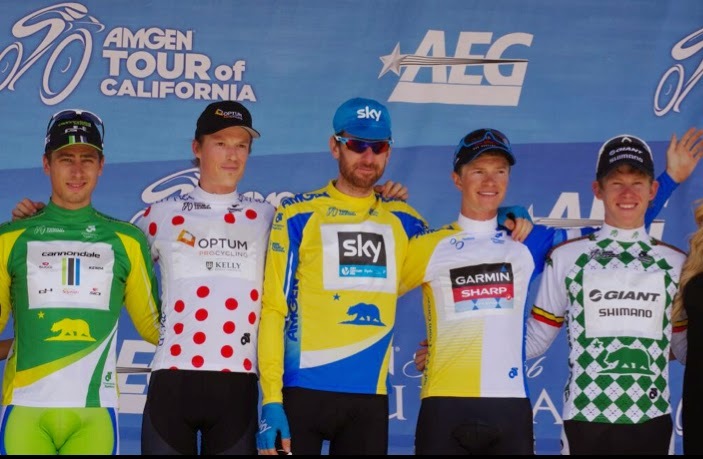 The line-up of riders in this year's 2014 ATOC is especially exciting. 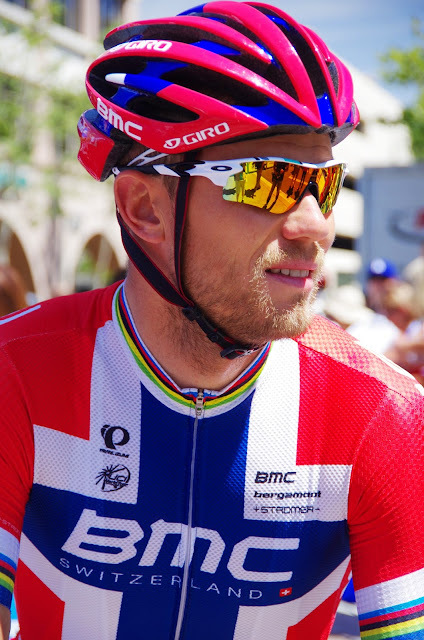 Californians (and visiting fans) will be treated to watching the very best in the sport of professional cycling. 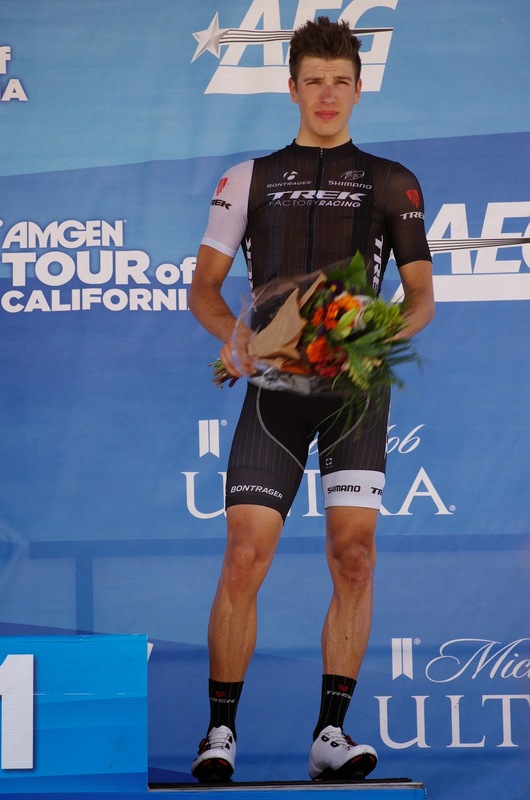 Amgen has resigned as title sponsor; many of the same sponsors have returned for 2014 with some added new sponsors; Ride 2 Recovery will offer four non-competitive cycling events; AEG Global Partnerships continues to organize the American Tour stage race; and the exact dates and host cities for the 2014 race will be announced today. Please refer to the information provided by each city. 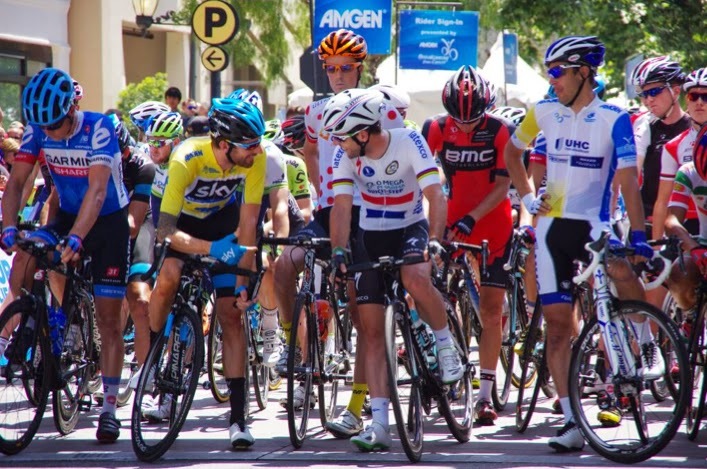 At the bottom of the Official Amgen Tour of California host city pages you can find links to the cities websites with more information about traffic and road closures if offered. 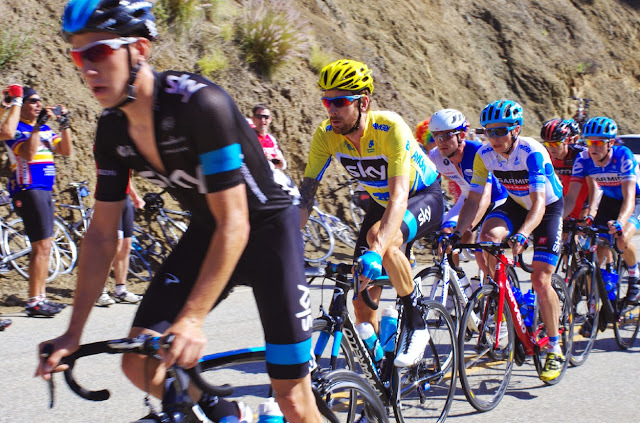 Which roads will be used for the Tour of California? For an estimation of when the riders will be on which roads, please see the detailed timetable (below) of when and where the race will progress and on which local streets (route map below). More information can be found under the individual city websites. 1. 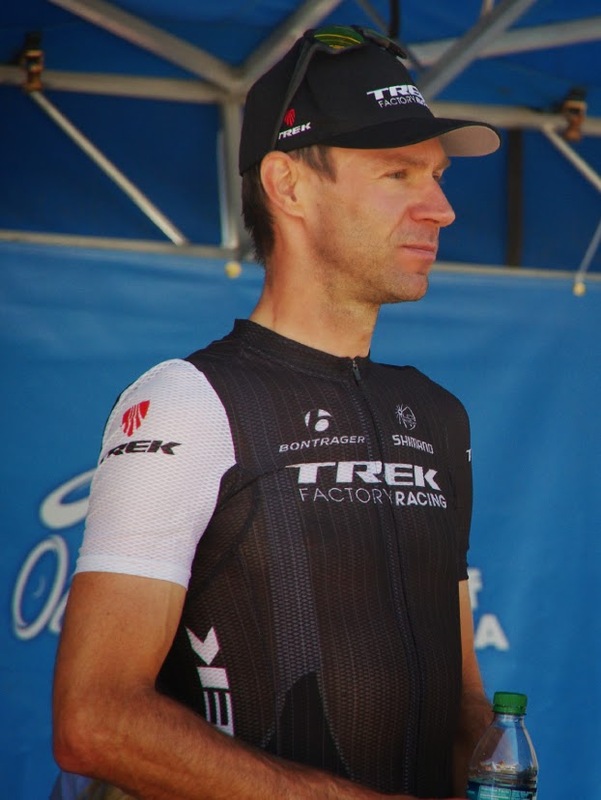 Stage 2 - Folsom Time Trial: short traditional individual time trial at 20.1km. 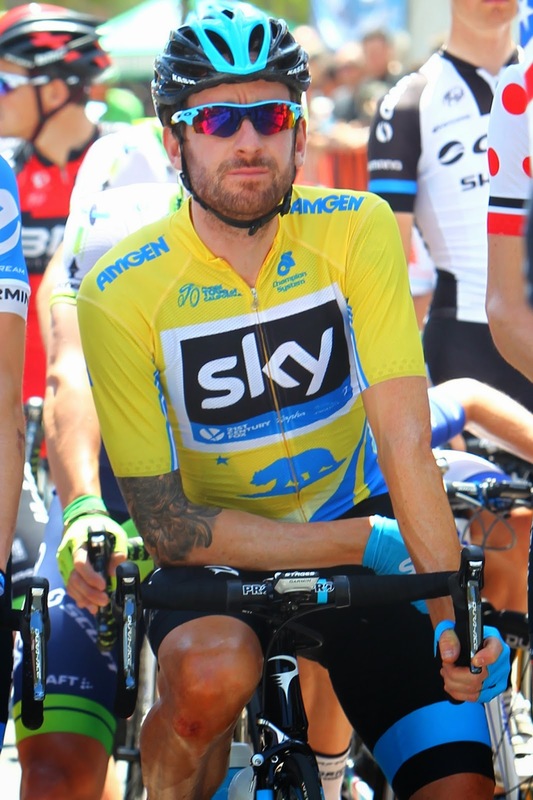 The yellow jersey will change from a sprinter's back to be worm by a time trial specialist. 2. Stage 3 -A 174.6km long road stage with Mt Hamilton and then Mt Diablo. With 10,900 feet of climbing, the jerey will change hands again to the climber who breaks away in the last couple kilometers or few meters. 3. 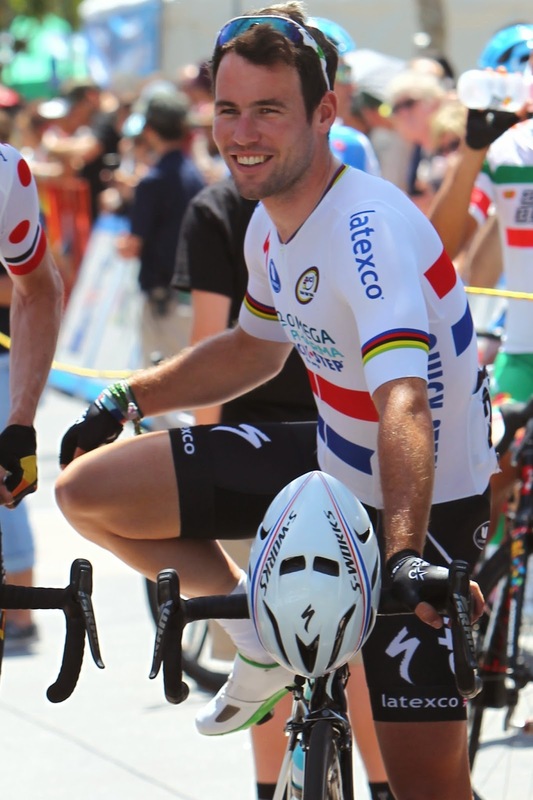 Stage 6: Santa Clarita has played host many times in past years, but the final high altitude climb, with a steep last few miles to Mountain High ski resort, will likely announce the winner of this tour. 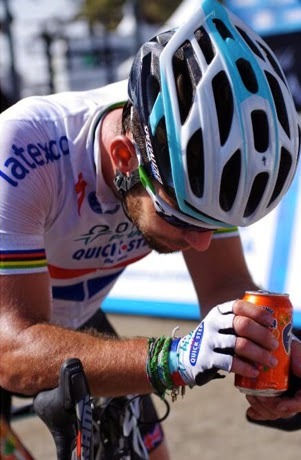 The stages into Santa Barbara and Pasadena are two Peter Sagan type stages. By now Californians are very familiar with this talented sprinter. A womens criterium race was featured in conjunction with the Tour in 2008, 2009, 2010. A womens time trial was featured in 2011, 2012, 2013. (Results of those races). This year women will race in both a circuit race and a time trial, but not necessarily the same women. 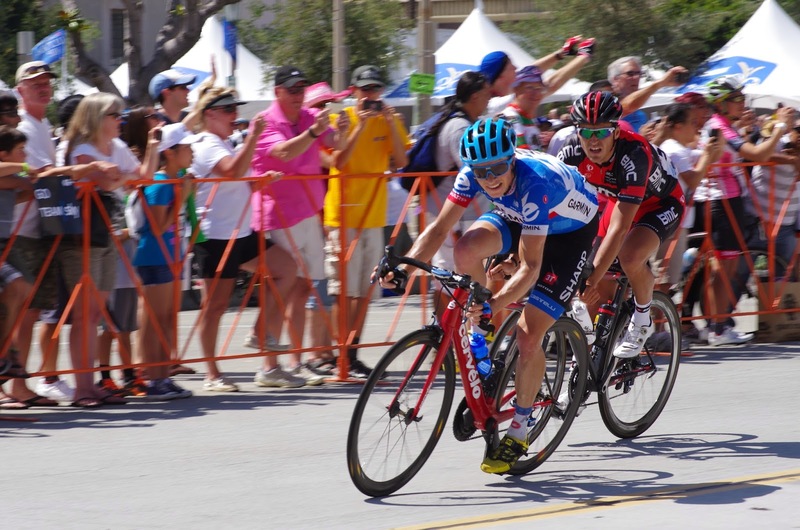 Crits and time trials tend to be specialties with different riders excelling in each sport. 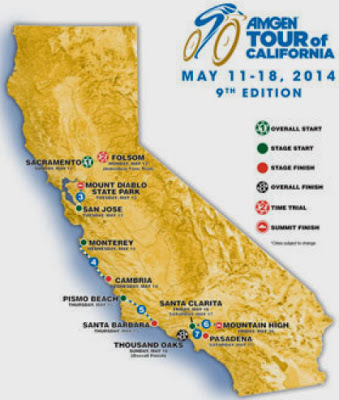 List of womens teams to compete in 2014 at Tour of California. While both types of races involve going round and round on the same course. 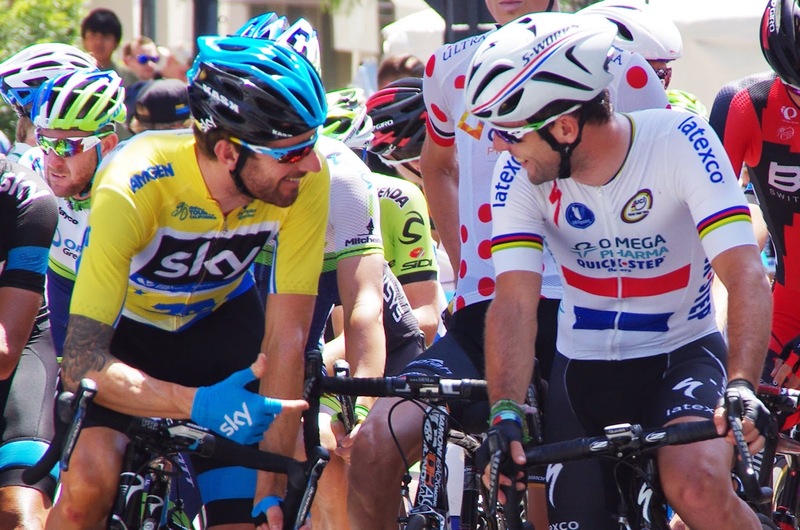 A criterium is a shorter course (2km or less), typically around city blocks, with the last lap determined by a preset time period of 40-60mins. A bell is rung to announce the last lap. A circuit race is raced on a longer course with repeated laps typically totaling 40-80 miles. The number of laps are predetermined ahead of time, for example, four laps of 20-miles each.